While misery may love company, grief tends to make us withdraw and hide. Let's remember those who have lost loved ones, especially this time of year. Let them know how you valued their loved one and miss him or her, too. Please keep these folks in your prayers and in your social plans, as well. In addition, make this a season of true joy — affirm others by rejoicing in their blessings. Holy God and comforting Father, please give me eyes to see and a heart to offer loving care to those around me who are grieving. During this special time of year, please use me to be a blessing to those in sorrow. 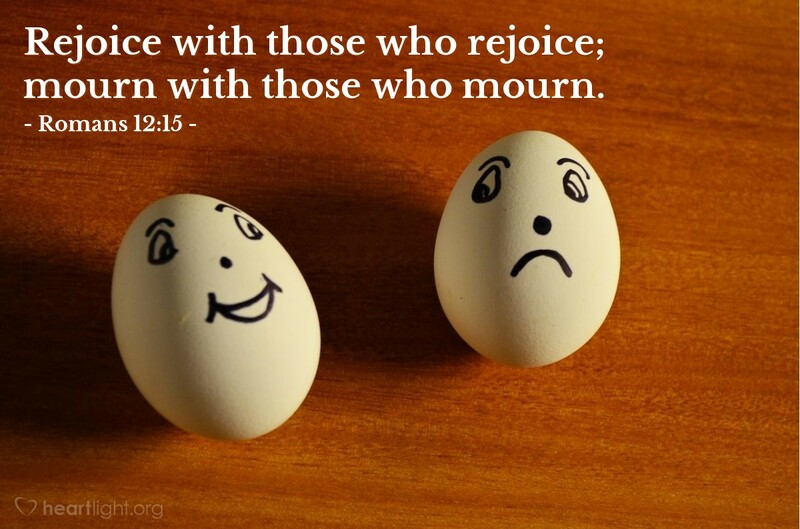 In addition, dear God, help me to also encourage and support the joy of those who are rejoicing around me. In the name of Jesus Christ I pray. Amen.